The 2017 season was one filled with frustration and heartache for the Roaring Fork Rams football program. The Rams didn’t win a game all season, and found themselves playing under the mercy rule in all but one game last fall. That led to a coaching change after the program dropped down to junior varsity-only competition for the next two years. In steps 47-year high school football veteran coach Dave Close, who returns to Roaring Fork for a second go around with the Rams. From 1987-96, Close served as coach of the Rams, before moving on to Aberdeen High School in Idaho. Since then, Close has coached all over Colorado, including stops at Bayfield, Pagosa and, most recently, Buena Vista, where he helped guide the BV Demons to the 1A 2015 state championship. Despite all the success, Close is stepping into a program that is at rock bottom, in terms of results and interest, at least from the high school perspective. Close said the interest in the job first started last year when he was in Glenwood Springs for a preseason scrimmage. At the scrimmage, Close caught up with some Carbondale friends, who told him what was happening with the program. Seeing such a proud, historic program fall on tough times led to Close taking on the challenge of completely rebuilding, starting from the ground up. By taking on the role of high school head coach, Close said he’s going to incorporate the middle school program into the high school system, meaning he — along with his eight assistants (Jeff Carter, Mike Conklin, Eric Bollock, Larry Williams, Larry Black, Dave Cardiff, Ray Cooney and Cesar Bencomo) — will coach both the high school and middle school programs at the same time. Practices will be held together, as the varsity program practices on one side of the field, with the middle school practices on the other side of the field. During those practices, Close and his assistants will aim to teach the fundamentals of the game while providing the kids with a structured system. “It might be nuts to coach both programs,” Close, who will travel over Independence Pass each day from his teaching job at Buena Vista, said. Although it’s quite a tough challenge to not only rebuild a high school program but go the whole way down to the peewee level to rebuild Carbondale football, Close is enthusiastic about what lies ahead for him and his assistants. “We will have to work with the peewees,” Close said. “We’re going to focus on the fifth- and sixth-grade football players, making sure we keep them in Carbondale and feed them into the Roaring Fork system. Aside from the peewee level, Close will have to keep upperclassmen interested in the rebuilding of the program, despite those upperclassmen — specifically seniors — being ineligible for junior varsity competition. Fall sports practices start Aug. 6, as CHSAA moved up the official start date one week. That could come in handy for the Rams, who can use the extra week, but with a number of kids in the valley holding down jobs in the summer, it will be tough for Close and his assistants to get enough kids out for both the middle and high school programs. 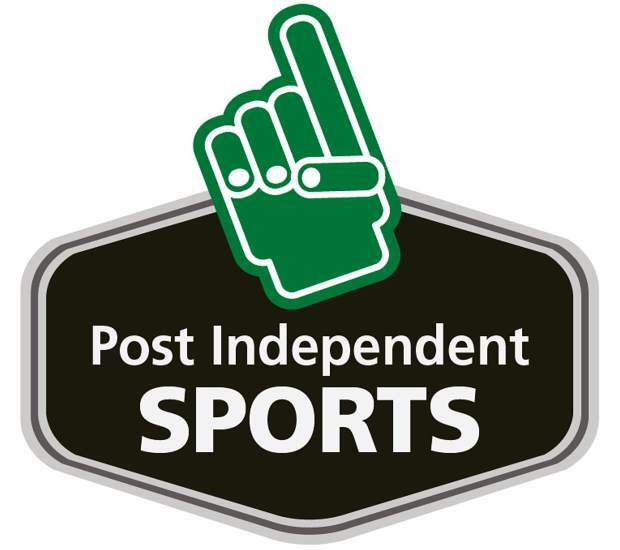 Close emphasized to the Post Independent that it’s important for kids who are interested in playing this year to know that the Rams will play JV only, meaning they won’t see a single varsity game all year. It won’t be as rough physically, and the Rams won’t be overmatched this year like they were last fall every Friday night. Roaring Fork will hold practices from 5-8 p.m. each night once the official season starts on Aug. 6. On that same day, Roaring Fork High School will hold free physicals all day at the high school for fall athletes. The 2018 and 2019 seasons will be lean years for the Rams, but Close has a goal of getting back to varsity action in 2020, when he hopes the Rams win at least half of their games.